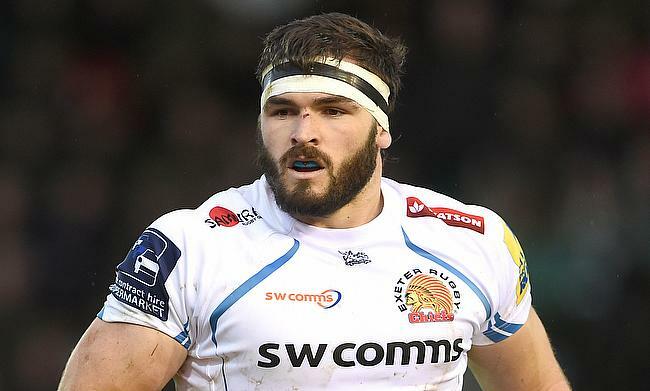 Exeter Chiefs managed to get their first win in the ongoing Champions Cup as they defeated Gloucester Rugby 17-29 at Kingsholm on Friday. The win also meant they settled scores against Gloucester after losing their previous encounter at Sandy Park 19-27 as Exeter move to second position in the table with eight points with the Cherry and Whites at third. As the first quarter went without a point, Exeter continued to apply pressure on Gloucester with a powerful driving maul resulting ina try for Sam Skinner followed by a conversion from Gareth Steenson. The home side finally responded at the half-hour mark with a couple of fine kicks from Danny Cipriani with one of it setting Jason Woodward over the line for an unconverted try. As the half time was approaching, Exeter stretched their lead to nine points with Don Armand powering over the line and Steenson improving it. The visitors momentum were boosted when Billy Twelvetrees was sin-binned after the restart. Even though Exeter did not quite make use of the numerical advantage, Twelvetrees kicked a 54th minute penalty goal to further increase their lead to 12 points. A second from Woodward gave Gloucester a glimmer of hope that eventually vanished with a 71st minute to Josh Hohneck with tries from Jack Yeandle and Harry Williams ensuring Exeter completed a 12 point victory.